One of our core missions here at the studio is to “inspire heroes and deliver wonder.” Normally, this is most often and understandably applied to the nature of making games. Indeed, creating new worlds to explore, new mysteries to solve, and heroes through which to experience it all is always an amazing and rewarding endeavor. There are, however, times where opportunities to inspire heroes and deliver wonder present themselves outside the scope of game code, cutscene scripts, or sandbox balancing. 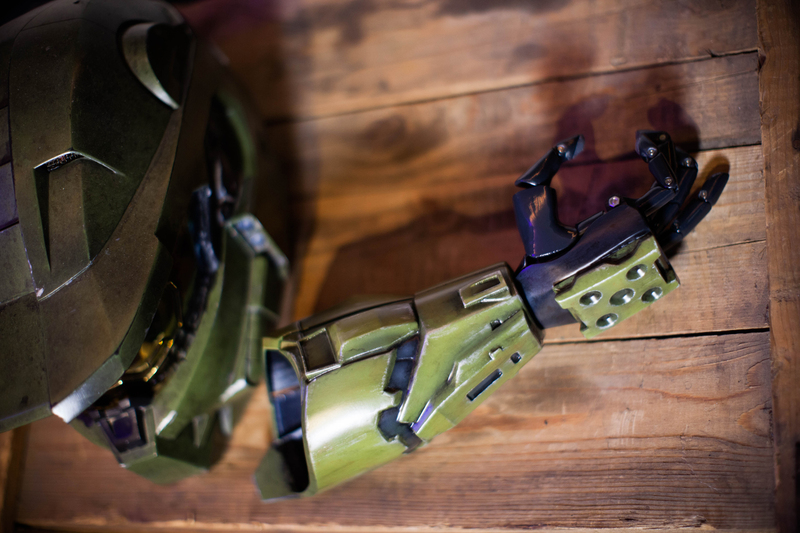 Today we’re excited to talk a little bit about one such opportunity, as 343 Industries is proud to announce a collaboration with Limbitless Solutions to provide new Halo-themed, 3D-printed prosthetics to be made available to young heroes who – like the Master Chief himself – also routinely and triumphantly beat the odds. Limbitless Solutions is a non-profit organization that creates an affordable option for prosthetic-limb devices for children. 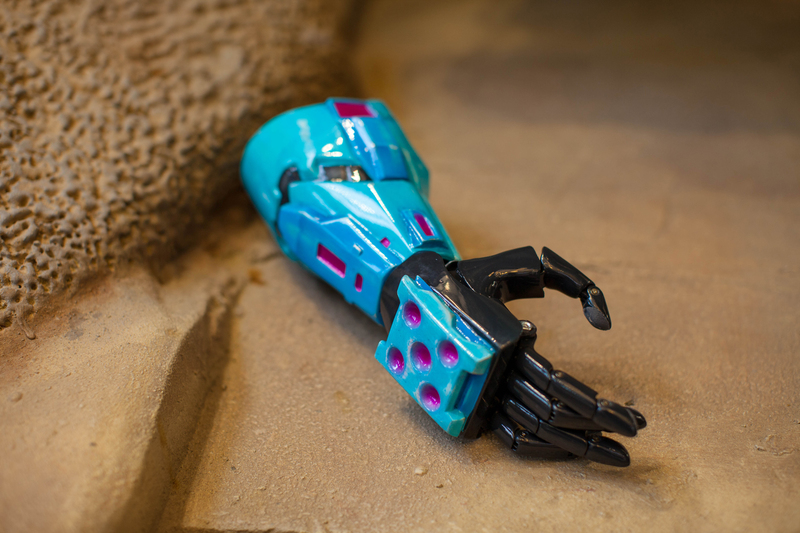 Using rapid prototyping technologies ‑ 3D printing specifically ‑ prosthetic arms that are fully functional and capable of gripping objects and various gestures are created and fitted to children at a fraction of the cost compared to other prosthetics on the market. The incredible and dedicated team over at Limbitless began in 2014 as a group of University of Central Florida students who wanted to help a family whose son was born without most of his right arm, and since Limbitless has grown to a full-time operation based at UCF in Orlando, Fla. The Limbitless “Bionic Arm” prosthetics are all at once functional, cost-effective, and expressive, and perhaps best of all, Limbitless donates their innovative prosthetic arms completely free of charge to recipients and their families. Limbitless is “devoted to building a generation of innovators who use their skills and passion to improve the world around them.” To learn more about their program and also see and hear inspiring stories of affiliated families, please make sure to visit Limbitless-Solutions.org. With all that firmly in mind, we’re incredibly honored to have the opportunity to collaborate with Limbitless Solutions to offer a unique bit of Halo flavor in our shared goal of inspiring heroes. Beginning in 2019, Limbitless will add two special Halo-themed options to their already-amazing lineup of designs for their 3D-printed Bionic Arms. First up is a fantastic recreation of the Master Chief’s own legendary Mk. VI armor, designed to help turn any eager recipient into an awesomely augmented, galaxy-saving superhero. 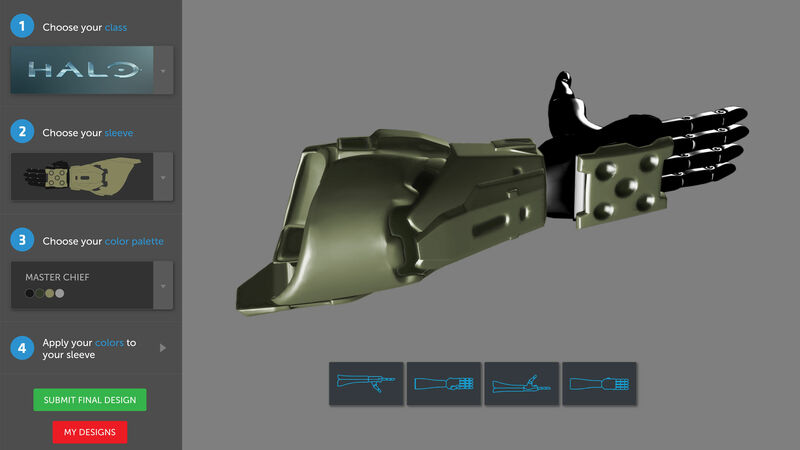 In addition, Limbitless will also offer a “multiplayer” variant of the Mjolnir-inspired and personalized prosthetic, allowing a wide range of creative color customization to create a Spartan style as unique and heroic as the recipients themselves. We’re infinitely honored to have been approached Limbitless Solutions to help further their ongoing mission to make heroes out of humanity and look forward to delivering hope and helping hands beginning early next year. Again, for more information on Limbitless Solutions and their innovative and empowering projects, please make sure to visit Limbitless-Solutions.org on the web, or on Twitter at @Limbitless3D. You can also learn more about their amazing studio and team by checking out their YouTube channel. For all the latest Halo news and updates, keep dialed into Halo Waypoint on the web and @Halo on Twitter.